Very quick grower. 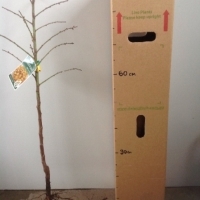 Fruit is being removed to encourage root growth. Trees seems to need very little attention and almost enjoyed the Perth heat waves and storms. I really like these plants as they seem quite tough and adaptable. I thought almonds were the first flowers of spring, but these guys are looking to be the last. The buds are healthy, just slow to emerge - it has taken until October to get a flower, and it was only a few flowers ... the rest were leaves! 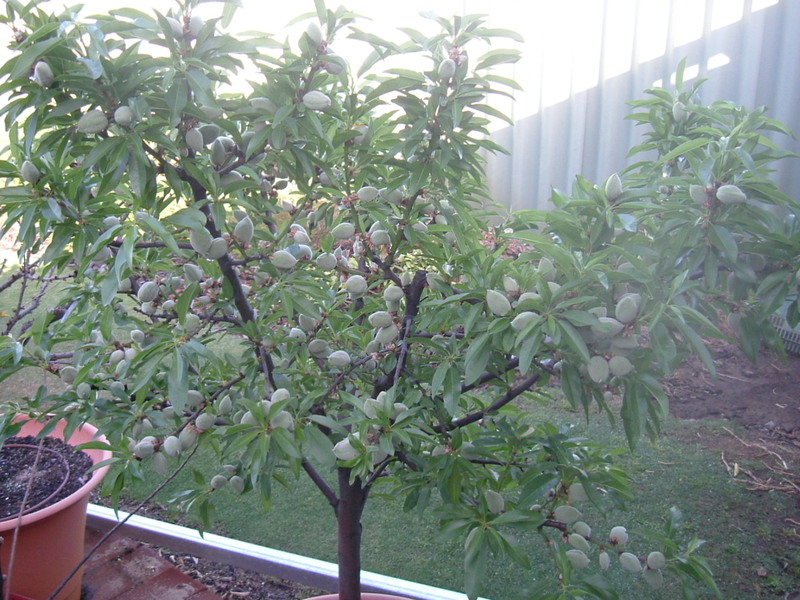 Due to low blossom there has been hardly any fruit set. I'm wondering if a late storm 'prune' disrupted the flowers in July so that only leaves emerged. Another almond across the street has the same problem, but a friend's a few suburbs away that missed the storm was covered in blossom and fruit. The plants seem to be putting on ample growth despite the poor soils, warm summer and minimal water. Leaves were removed in June in the hope of encouraging dormancy and resulting in flowers in spring. Jan 2012 - yummy, yummy almonds. Make a great apricot and almond jam. Although difficutl to spot among the leaves. The plant as a lot of growth and it is so dense that critters are moving in. 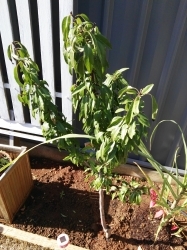 May 2012 - leaves removed by hand and plant pruned heavily. This should reduce the risk of disease due to minimal air movement. Still finding older almonds during pruning, and they were still good to eat on site! 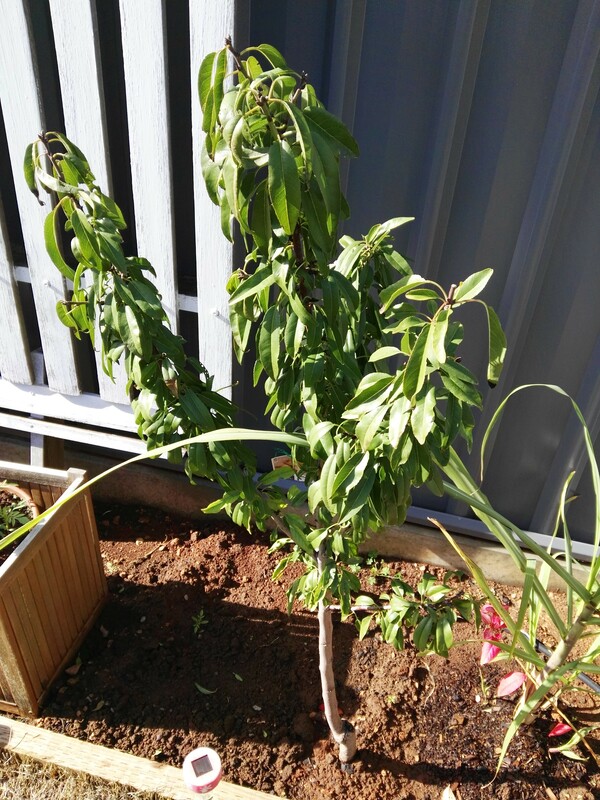 My wife and i both love almonds, so an almond tree seemed like a natural addition to our garden. They are also very attractive plants in bloom so it will look great as well. Goes well in the pot, tastes great. 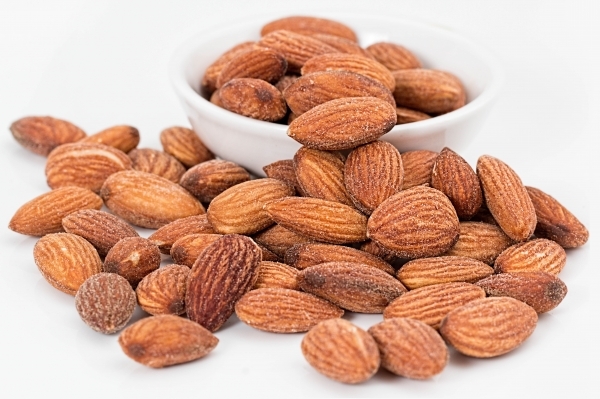 Jimmy, do birds come loot the almonds? Are they yummy off the trees or do you have to roast them before eating? Thanks! This poor plant was attacked (unknown assailant) during the summer just above the graft, it has grown again & I think there was enough of it left as the leaves look right. 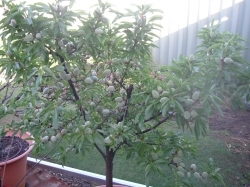 Tough plant and like the idea of producing fruit as well as shade. But it has a pest I can't indentify and I won't chemically spray any plant in my garden. Something is boring a single hole into the fruit, produces a droplet of sap. 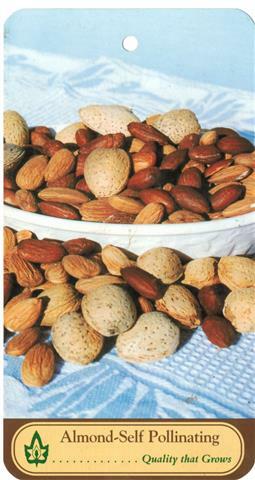 This is reducing yeild considerably, as many nuts shrivel and drop off. I haven't seen the bug. Can anyone suggest what it might be? 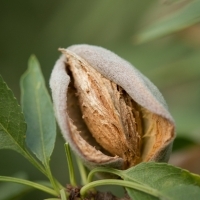 The almond flowered in its first year with three or four flowers and produced two shell cases which didn't mature. have 2 of these. Plenty of Almonds if the Parrots and Cockatoos dont get them.